Turkey hunting requires several items of specialized gear for a successful hunt. The right gear can help you hunt longer and much more effectively. 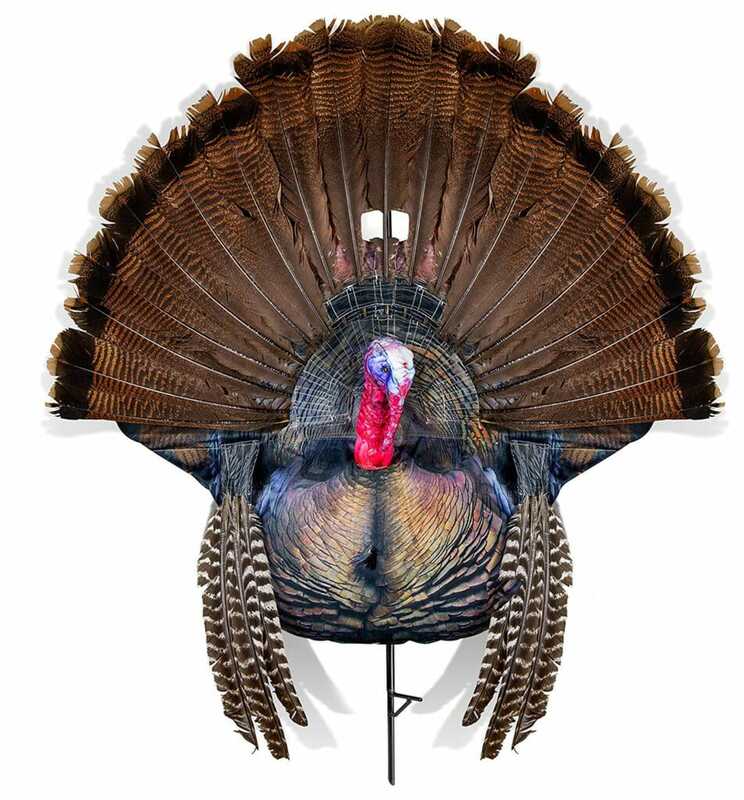 To help you plan your next turkey hunt, check out our Ultimate Turkey Hunting Gear List. The turkey hunting vest is a core piece of gear for the turkey hunter. It not only helps you organize your gear and have it close at hand, they usually provide a built-in seat as well. There are a variety of styles and makers of turkey vests. Turkey vests run the gamut from tactical looking vests for guys that want to look like a Navy Seal, to vests that look like you’re carrying a recliner around on your back, and everything in between. Personally, I’ve been using a Tactical Tat’r Turkey Vest by Cabelas for years and it remains a favorite. For locator calls, I primarily use a Primos Owl hoot call. 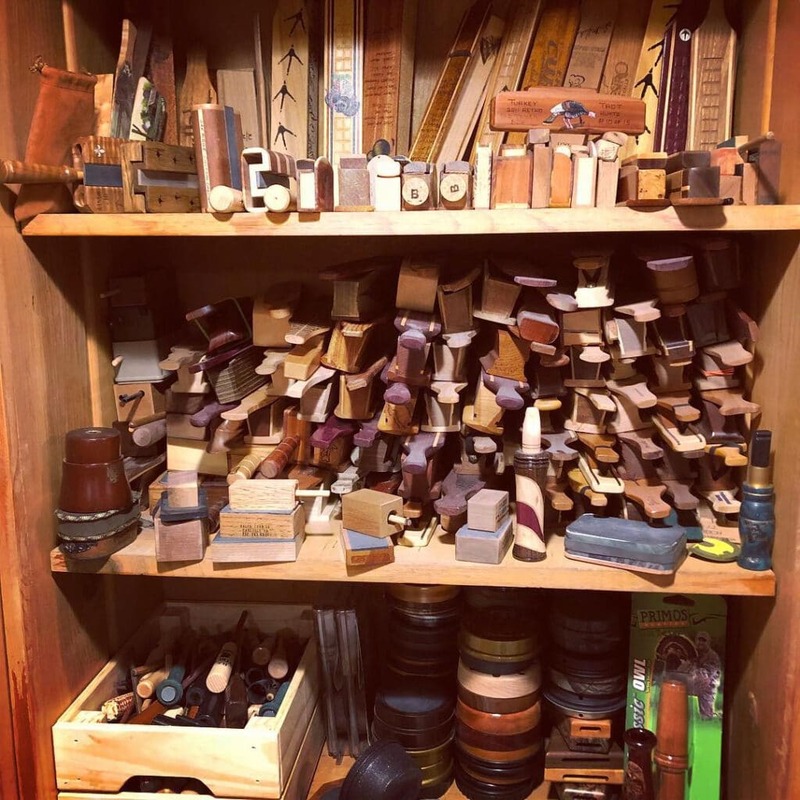 When I’m hunting I carry a variety of slate calls, a favorite box call and a handful of diaphragm calls. Since I’ve mastered the diaphragm call, I rarely touch my other calls. The ability to call with zero motion, better volume control and having both hands on my shotgun, make the diaphragm call my top choice. There’s a variety of brands to check out, I tend to favor diaphragm calls by Primos. My personal favorite that meets all of the above criteria is the Remington 870 Tactical. 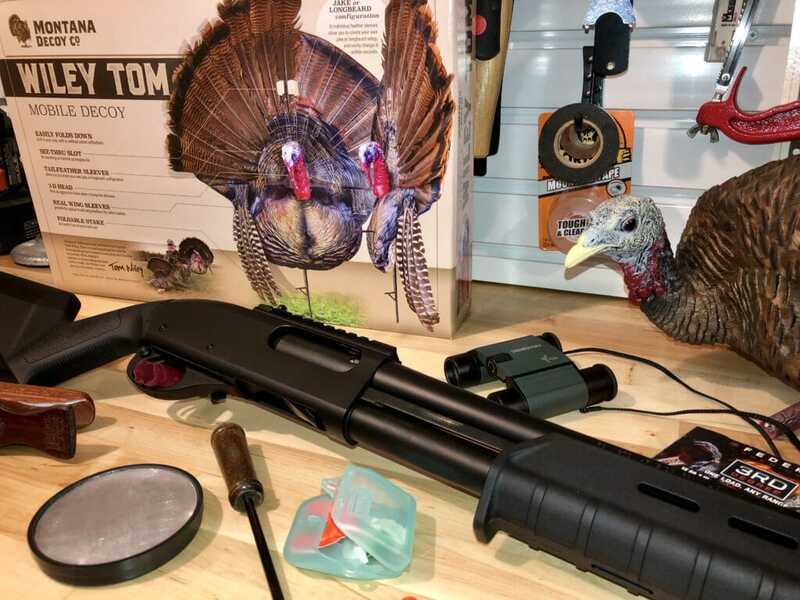 While the tactical craze never quite bit me, I find the platform to be ideal for turkey hunting. On my 870 I replaced the factory stock and forend, with stock and forend by Magpul. Regardless of your choice in turkey gun, you can improve the performance of your gun with an aftermarket choke tube. I’ve been using a Carlson Turkey choke to improve my range and pattern. 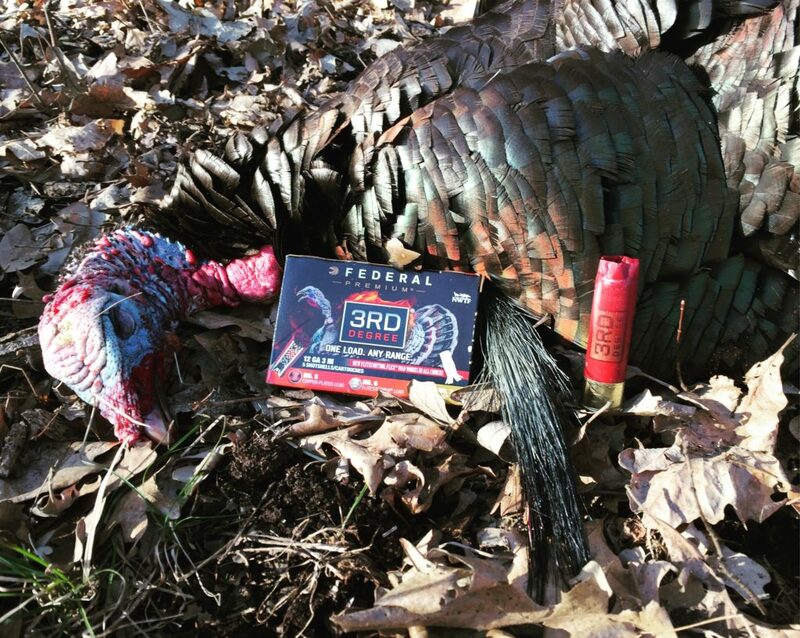 You don’t go through a lot of ammo when turkey hunting, so it’s worth it to pay more for premium turkey hunting ammo. I’ve found that premium quality ammo simply patterns better and hits harder. Federal Premium Heavyweight TSS ammo is a favorite. I primarily carry two types of decoys, a full-body hen decoy, and a “fanning” style decoy. For the hen decoy, I’ve been using an AvianX LCD Breeder Hen with great success. They’re a little heavy, but the realism is worth the extra weight. For the fanning decoy, I’m using a Wiley Tom by Montana Decoy. The Wiley Tom decoy is based on a real image of a Tom and you can add your own feathers for greater realism in the field. It’s lightweight and folds down for portability, and also has eye holes cut in the fan to make it perfect for hiding behind while “fanning”. The Wiley Tom by Montana Decoy with additional feathers and wings added by a hunter. Pro Tip: Use extreme caution when hiding behind a fanning decoy. Only use on private land where you are sure there are no other hunters who could mistake you for a tom. Use this hunting technique at your own risk. Your locale and time of year will largely dictate your apparel choices and number of layers you will need. In additional to wearing a camo shirt, pants, and hat, I also like to wear camo gloves and a mesh camo face mask for complete coverage. 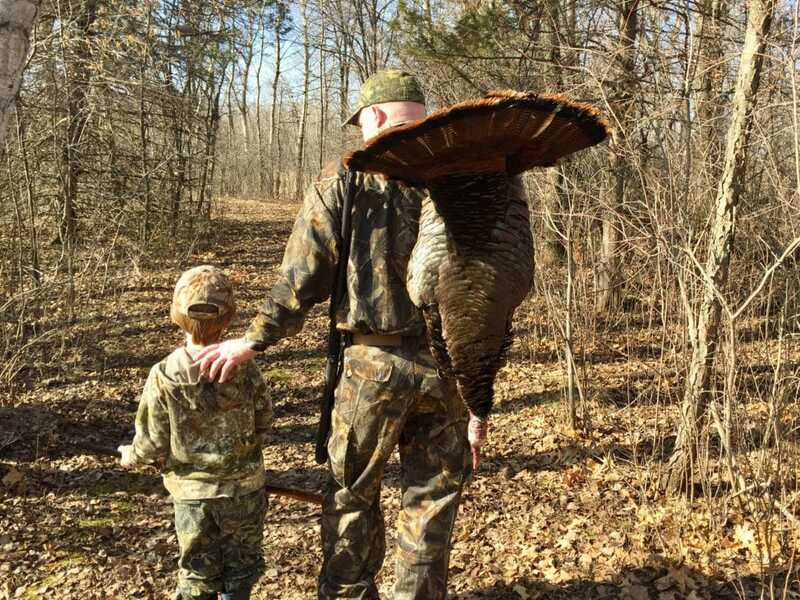 GameHide and Cabelas are top choices for turkey hunting apparel. If you happen to hunt in an area where ticks are a problem, GameHide offers a line of clothing that repels ticks. Additionally, I always carry a bug suit and rain gear in my truck in case I need them. For most of my turkey hunting, a pair of lightweight, uninsulated boots like the Irish Setter Ravine or the Danner Alsea are perfect. However, depending on your location, rubber knee boots or even snake proof boots may be your best choice. In Minnesota where I hunt, we have the efforts of local sportsman and the National Wild Turkey Federation to thank for the strong population of turkeys we have today. Where it was rare to see a wild turkey forty years ago, today the woods are teeming with them. If you love wild turkeys and wildlife in general, consider joining the NWTF.